I have been a photographer for many years. 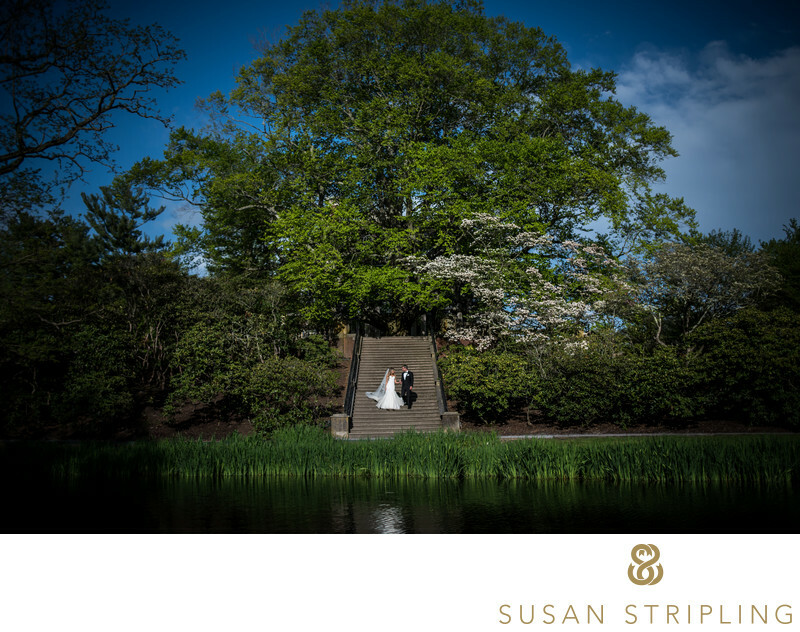 Before I was a wedding photographer, I was simply a person who loved taking pictures. I was the kid in college awkwardly taking “artistic” pictures of my friends playing guitar moodily on the college lawn. I took photo after photo of every college theatre production. I spent long hours in the darkroom. I always had a camera, taking pictures of my friends, my family, my children, landmarks, anything, everything. In those days, it was easy to take care of my “files.” Everything was film! I’d shoot a roll of film, get it developed, and meticulously catalog and file away the negatives. I still have binder after binder of carefully preserved and archived negatives. It is incredibly simple to know where every negative is. All I have to do is open the closet, read the spines of the binders, look for the correct date, and I will have what I need. When I got my first digital camera, I believed that keeping track of my digital files would be just as easy as filing away all of those folders of negatives. Even easier! I wouldn’t have to remember to buy binders, meticulously slide each strip of negatives into a plastic sheet, and affix each binder with carefully lettered labels. All I had to do was keep my digital files together on a hard drive. How hard could that be? Do you know where all of the digital files of every single photograph that I took of my daughters in the year 2005 are? I don’t either **. I could not believe how much more difficult it was to keep track of and maintain all of my digital files once the numbers started rising. A 20 image portrait session of my daughter gave way to 100 pictures on my phone of their first dance recital. Images by photographs of them on my professional equipment sat side-by-side on a hard drive with point and shoot camera photos and images from my first smartphone. File after file started to pile up on my computer, and when I finally started offloading and archiving those files on external hard drives, entire year of personal photos got missed. I don’t know how. I have always been meticulous about maintaining my clients files, but got sloppy with my own personal photos. When I think of all of those images from 2005, I actually know exactly where they are. They are on the empty space that is the hard drive of the second iMac that I ever owned. That hard drive eventually stopped working, and led to me upgrading that computer about a year later. When I bought my new computer, I wiped the old hard drive and gave the old, barely working computer to a friend. Those images of my children are gone. I will never see them again. I have printed versions of almost all of those photographs, but it is all that I have of every image that I shot that year. Obviously I want to make sure that this never happens to any of the images that I capture for my clients! For this reason, I have written this article with the fervent hope that it will help you learn more about long-term storage of digital files. 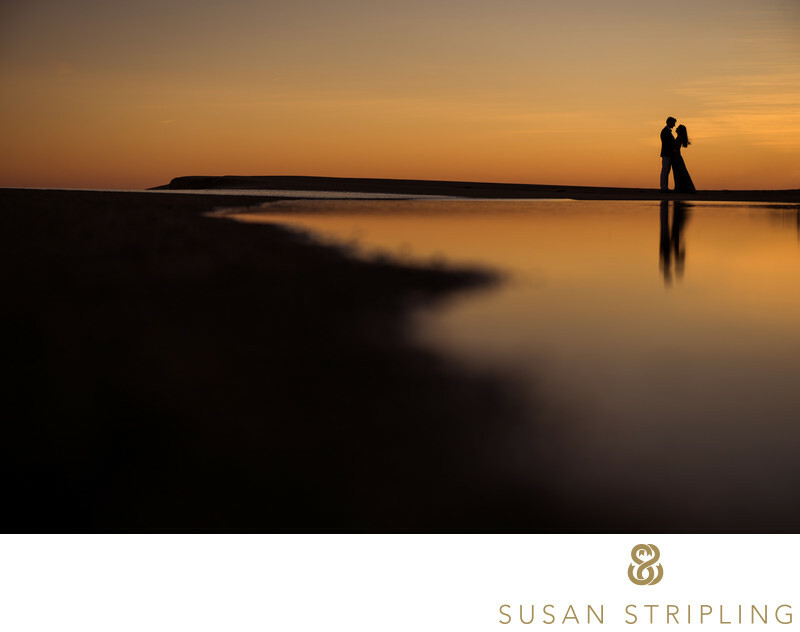 I never want you to look back years from now and wish you had backed up your wedding or portrait files better! After every wedding, meticulously download and back up every single digital file that we have taken on the day. (If you would like to learn more about our downloading and backing up process, and why it is so excruciatingly careful, click this link to read more!) We maintain constant backups throughout the entire post production process. We keep backups online, on multiple external hard drives in multiple different physical locations, and on our actual working main computer. As the years go by, we continue to maintain these backups on carefully stored external hard drives. 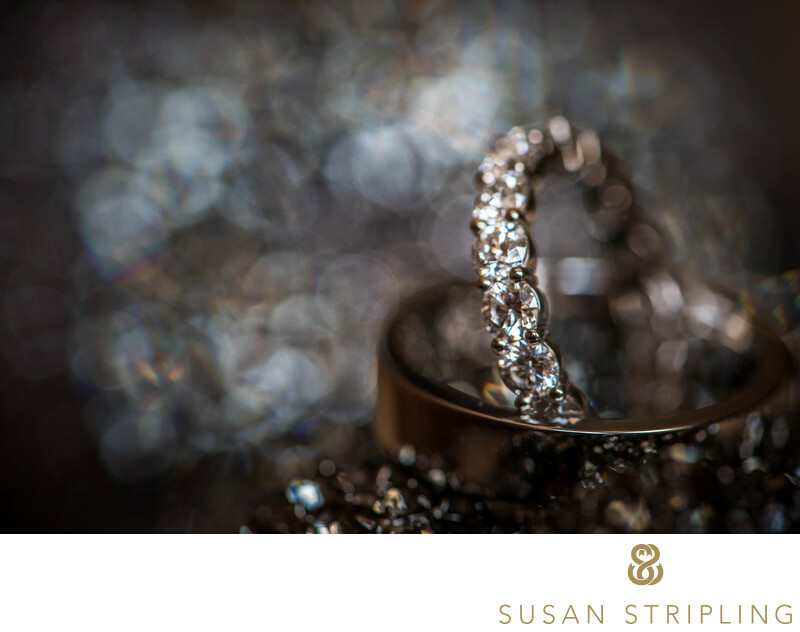 Please rest assured that all of your digital files from your wedding and your portrait sessions are always cared for with extraordinary attention and respect! 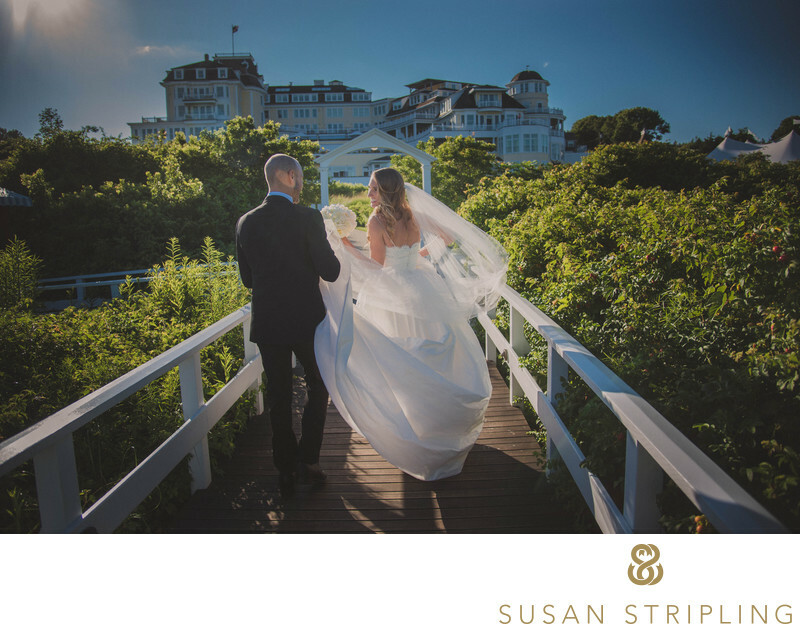 I often talk to potential wedding clients about the postproduction process, but the conversation usually ends with how your digital files will be delivered to you. We talk extensively about the online image gallery, and the purpose of that gallery. The gallery is meant to be a way for you to view your images, order prints, share your images with family and friends, and download your high-resolution files. 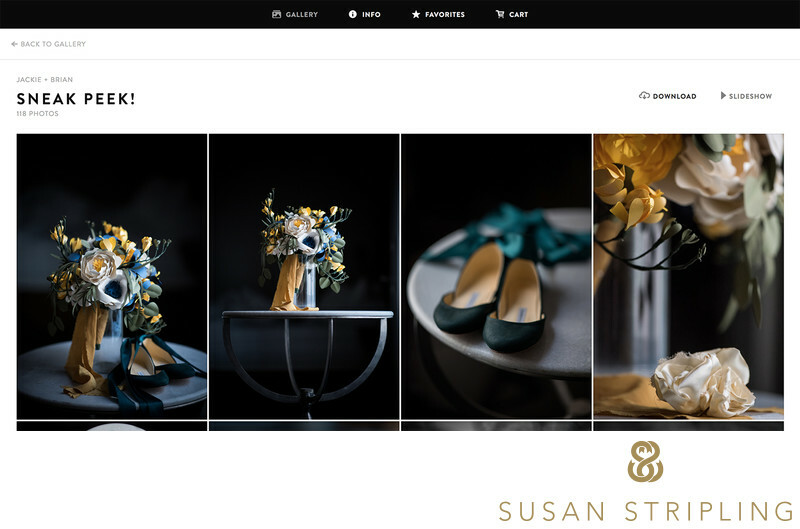 When you receive your online image gallery six weeks after your wedding date, your landing page will look a little something like this. You'll see your names, and one of my favorite wedding images from your day as a cover picture. You'll also see a button at the bottom right of the screen that will say "open gallery." Click on that, and it will take you right inside your gallery! 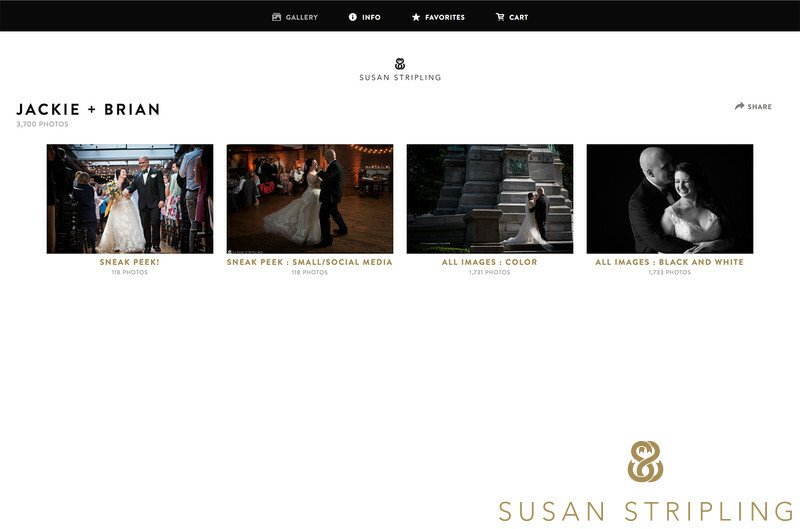 Once inside your wedding day online image gallery, you'll see several buttons at the top. The Gallery button will bring you back to the online gallery. The Info button will give you information about your online gallery. If you've assigned a star to any of the images inside your gallery, the Favorites button will take you to where those assigned stars are stored. Lastly, if you've added any images as prints, your Cart will show you the progress of that shopping experience. The four thumbnails you see here will look fairly similar to what you'll see in your own online image gallery from your wedding day. Starting from the left, these wedding clients has a Sneak Peek of images in their wedding package. That label of "sneak peek" is the header for an album, just as the three thumbnails the right of that lead to sub-albums of their own. When you click on any album thumbnail, you'll be brought straight into that album. You can always tell where you are by looking at the top left of your browser page. You will see the name of your gallery, and the album that you are currently browsing will be listed directly underneath it. If you ever want to go back to your main menu, simply click on the arrow in the top left that says Back to Gallery. To download an entire album, you'll want to look to the top right of your browser. You will see a button that says Download. All you have to do is click on it. That will prepare the download process, and you will be able to download all of the high resolution digital files that that particular online image gallery album contains. Once you have clicked on the Download button, you will shortly be emailed a link that will begin the downloading process. All you have to do is choose where on your computer you would like the images to download to, and you'll be good to go! Download the wedding day digital files to a desktop machine or laptop. Backup your wedding day digital files to some sort of cloud-based online service. Backup your wedding day digital files to an external hard drive or USB drive. I highly recommend that you do at least two of these three options, if not all three of them. Downloading your wedding day digital files to your desktop or laptop is a great first start. However, you have to back them up in another way in case you ever had any sort of catastrophic hard drive failure on that desktop machine or laptop. The last thing I want to have happen to you is that you lose your wedding day digital files because of a hardware issue with your computer! Once you have downloaded your files, I would recommend that you find somewhere online and also stored. Whether you put them in a Flickr album or upload a folder to Dropbox, having your images in the cloud is just another way to keep them safe for years to come. The last thing that I would recommend that you do is purchase a USB drive or a small external hard drive of some kind. You want to transfer your digital files onto that drive, and put that drive away somewhere safe. 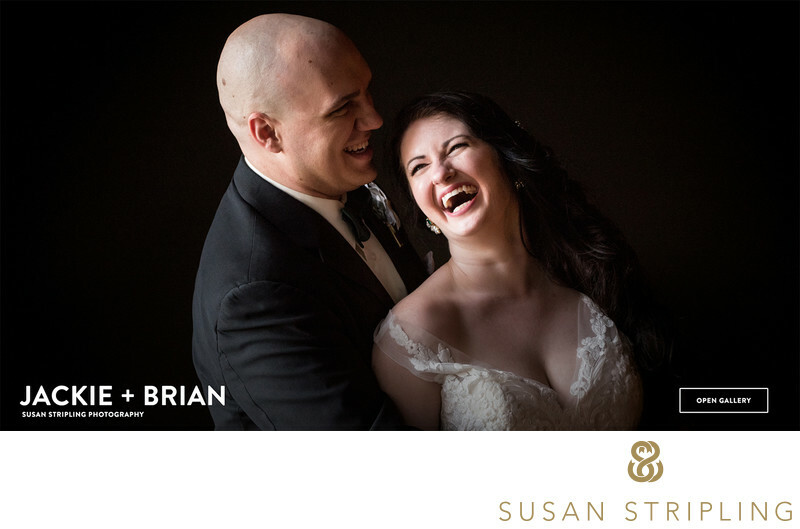 Why do I advocate so many different methods to store the digital files from your wedding day? There are two reasons. The first reason is that things that simply get lost. If you backup your digital files to only one location, what happens if something disturbs that location? Your files will be gone. We back up our client files in so many different locations and instill me different ways, and I would love to see our clients take the same responsibility towards the digital files once they are in their possession. The second reason that I like having so many different methods of digital file backup is because digital storage changes over time. I used to keep all of my backups on DVDs. I was able to read a DVD on all of my computers with ease. You know what none of my computers have anymore? A DVD drive! The last time I had to access the digital files on an archival DVD, I had to actually go to the Apple Store and buy a DVD reader that I plugged into my laptop. If I do not staying current on what backup methods are popular now, I might run the risk of having my only copy of a set of images on a backup method that is now obsolete! 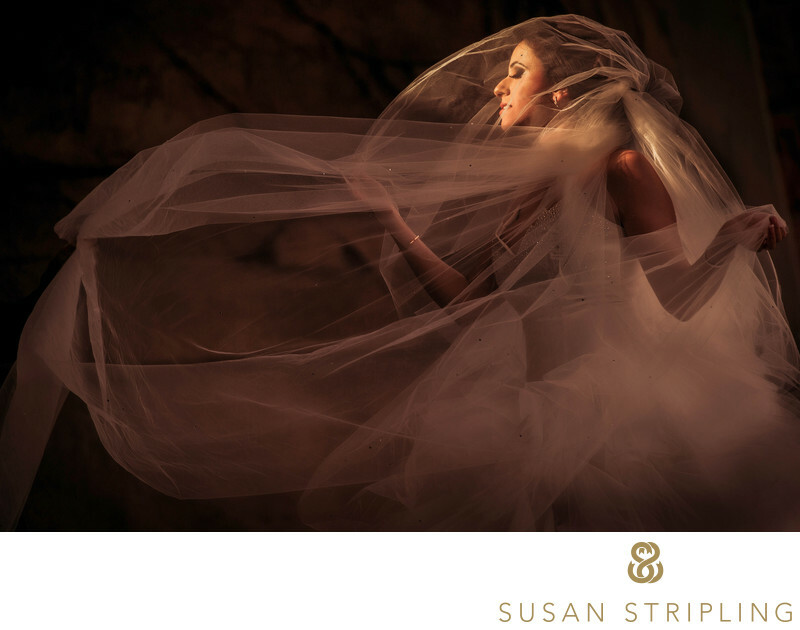 The care, handling, and managing of our digital files and backups is an extensive process that we have perfected over the nearly two decades that Susan Stripling Photography has been in business. We take care of your files, because we want to keep them safe for years to come. I hope that you are treating your digital files with the same care and respect, and I hope this article might illustrate for you just how to do that with ease! I strive hard to create beautiful images for you, and want to make sure that the digital versions of these images say states and well stored for generations to come! ** I would like to note that I have not ever, nor will ever lose a digital file for a client. This story was simply meant to illustrate that sometimes I don’t even take my own good advice when it comes to my own personal digital files!